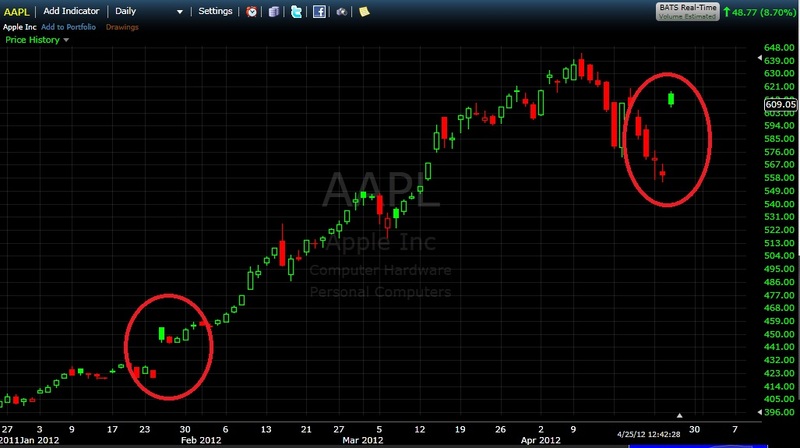 Daniel Loh: A Comprehensive Study on Apple: What do you do now after gap up? 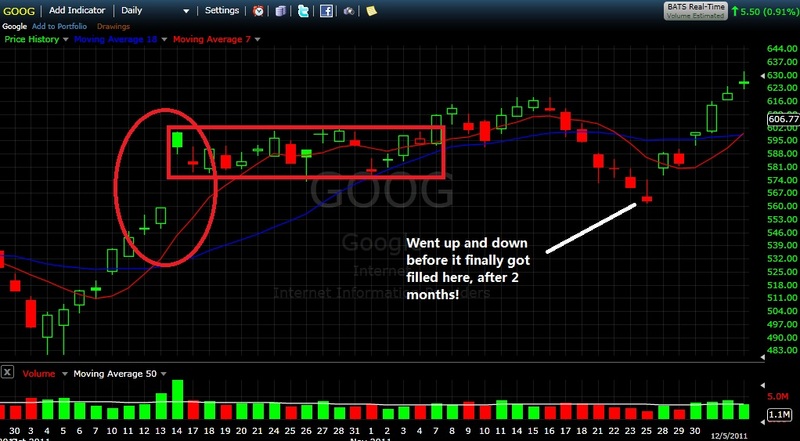 A Comprehensive Study on Apple: What do you do now after gap up? 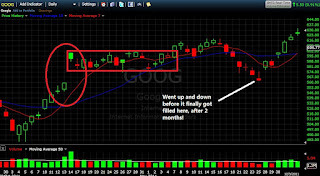 "The gap up looks dangerous as it didn't even break the last peak of $620.25 on 18 April. In addition, the market may very well be betting on the gap to close now. If not well managed, the gap could very well lead to a bearish continuation. Good luck..."
Today Apple gaps up to open at $615.99. It went to highest at $618. Now it is at $608.64. The lowest it went is $606 for today. It is definitely true that $620 as mentioned is a resistance, which I have mentioned in my past article, that is the "Law of Gravity of price" figure. I would like to add a few comments and questions for us to ponder about. Take your time to ask yourself these questions and I think you might gain something. 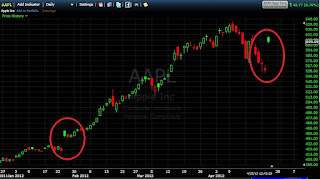 1) Will Apple fill the gap all the time though normally technical knowledge told us that stocks do fill the gap? Look at the last gap up. After consolidating for a few days, it went off. 2) If Apple does not fill the gap and goes up, what is the price you buy at that will be the safest? 3) How do you know it has successfully stand above $620 and what price to exit after it breaks $620 and you have entered? 4) If it breaks $644, the all time high, what price to enter next? 5) By the way $567 is the high of the last candle before the gap up, which is $40 off the price now. Do you think it will fill the gap in stages or at one go? 6) If it fills the gap in stages, where do you think the support are? My opinion is that Apple has a support at $600 and $575, meaning it will hit support 2 times before there is a chance to fill the gap. To me, trading is all about prices. What price to enter and exit? Once you get it, MAKING MONEY is EASY! on 2 May (Wed) English Session OR 8 May (Tue) English Session OR 9 May (Wed) Chinese Session.